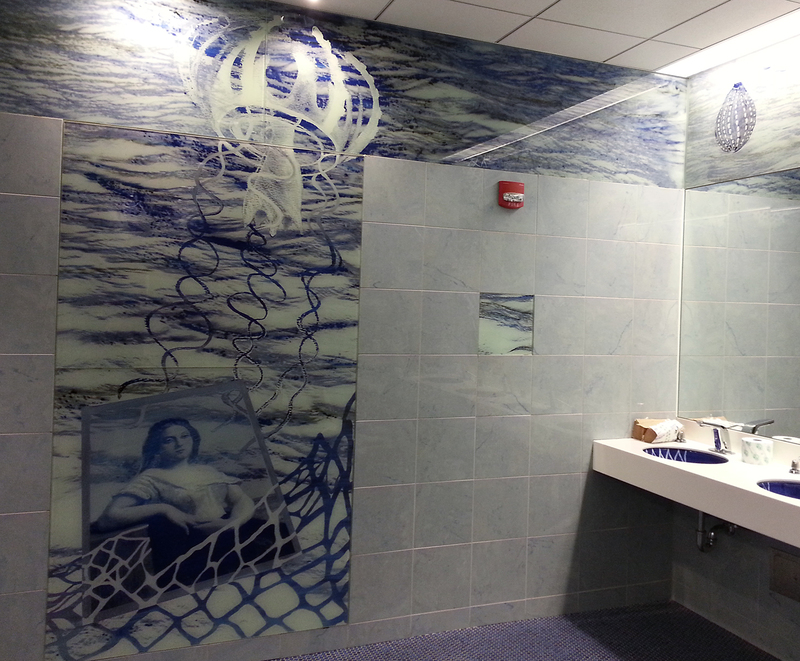 Although I went to Smith and visit the campus often, I saw Ellen Driscoll‘s womens’ bathroom in the college art museum for this first time this weekend. 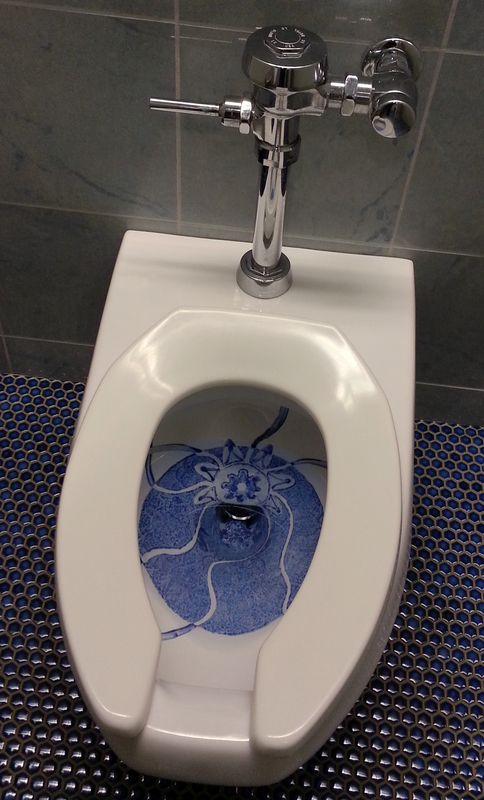 Titled “Catching the Drift,” the installation’s walls are painted in a Delft palette of blue-and-white on glass tiles, accented by swirling blue designs in the toilets themselves. The installation is stunning and—just a bit intimidating to someone who needs a bathroom for its expected function. Some of the images on the walls are taken from objects in the museum’s collections, while others relate to water and its teeming life forms. In an age of drought and global warming, the message of human water use is clear.